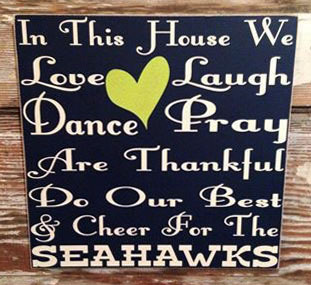 In This House We Love, Laugh, Dance, Pray, Are Thankful, Do Our Best & Cheer For The Seahawks. As Pictured, Navy Sign with Off White Lettering & Lime Green Heart. The edges are distressed and the sign is sealed for years of enjoyment. A seven saw-tooth hanger is attached so your sign arrives ready to hang. This sign is hand crafted and painted with care. No vinyl was used in the production. Extra time is taken to ensure your painted sign with design and/or lettering comes out crisp. Our signs are proudly made in the U.S.A. 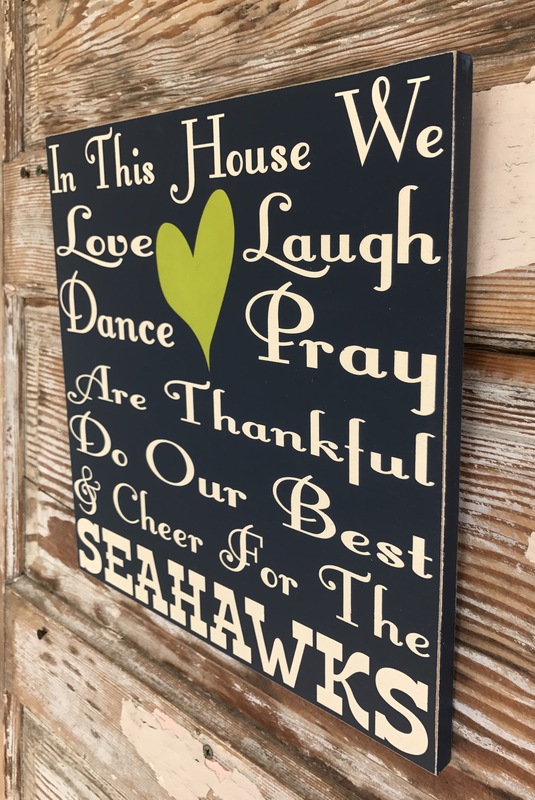 I love my new Seahawk sign! It looks great and Seller was super helpful. 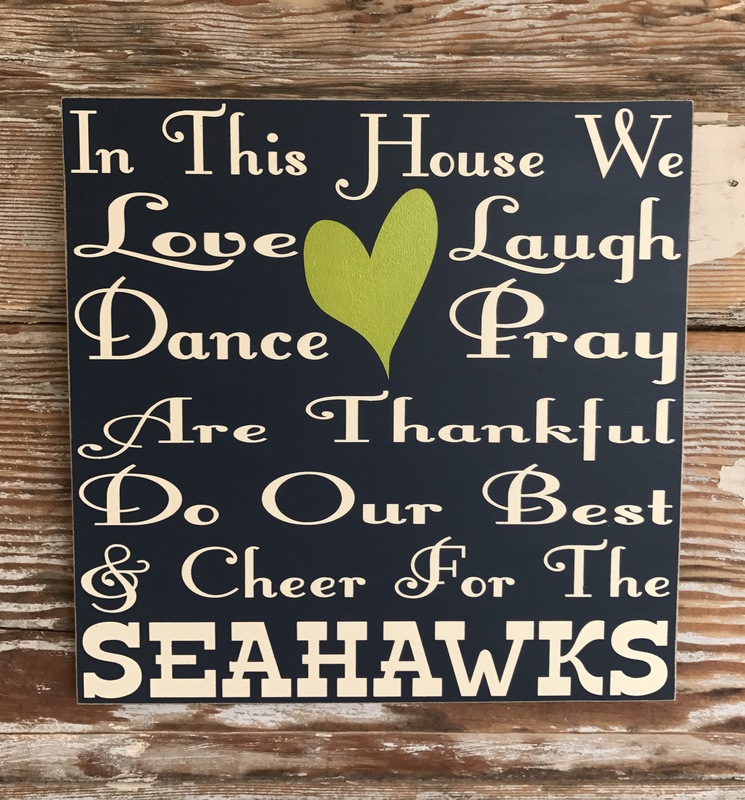 It fits right in with my Seahawks decor. I LOVE my sign that I ordered and have had multiple people asking about it! It's professional and completely worth the money! Thank you again! Plus it shipped quickly and arrived with no damage. Pictures don't do the sign justice. Great job! Thank you! It's just as adorable in person as it is in the picture. I absolutely LOVE it! GO HAWKS!!!!!! !